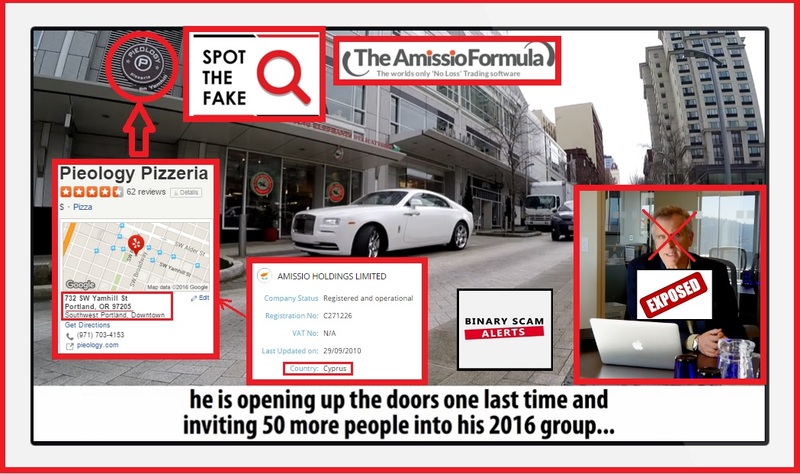 Binary Scam Alerts is continuing to receive a record number of complaints regarding the Amissio Formula SCAM (AKA the Amissio Formula App and Software) and Craig Phillips the fake actor and Cyber-Criminal. Since we issued our previous warning, we noticed people did not perceive the system to be a deception, so our researchers decided to do something different and explain to our members how these ripoff artists cover their tracks and what tactics they use to mislead innocent victims and lure them into their web of lies. 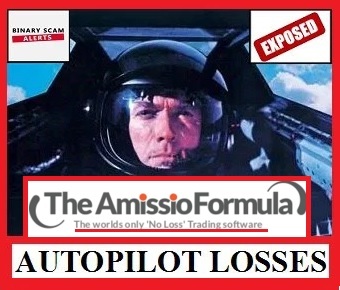 As stated in our previous post, we have reached the irrefutable conclusion that the Amissio Formula, along with all the co-conspirators in this vile scheme are guilty of conducting an online internet fraud scheme and intentionally misleading, victimizing, and entrapping would-be traders into investing with shady and unregulated binary options brokers by offering them bogus trading software. We have shown that the actual software is a complete replica of the Tauribot App, one of the most disgusting and manipulative scams perpetuated by thieving, unscrupulous affiliate marketers out to get your hard-earned money. We have also presented clear evidence that while the company offices are located in the USA, there is no local legal entity to turn to (image below illustrates this). This automated trading tool promises “zero losses”. That is the least sophisticated part of this scam and actually quite surprising. These hoodlums should know better than to make claims like that. In fact, the whole sales pitch is flawed in my opinion, but who am I to pass judgement on how to sell trash code. The software claims an ITM ratio of 100%, this means that according to them, all you have to do is push or click a button and the system makes you Autopilot Earnings. Forget, all the financial education, technical analysis, or understanding of markets and trading tools. This so called holy grail of binary options will do all the work for you while you lay back and sip your cocktails on the beach! Does that sound realistic to you? These guys did a great job covering their tracks. They didn’t use Fiverr actors or image bank photos, and this is definitely a high end production. I do respect them for that, they do understand how to produce a good movie. The team of actors and the fake lottery style checks and T-shirts add a very nice touch and make the story very believable. It all looks and behaves very authentic and is extremely convincing, which makes it that much more dangerous. The loser is you, if you buy into this malicious scheme. The winners are the advertisers who get paid for referrals and the brokers who are experienced in fleecing your wallet and helping you achieve a very nice zero balance so you can re-invest and continue to lose money. The people behind these deceptions are not normative, they don’t conform to the usual societal norms. These are people with a quasi-criminal mentality who enjoy the good life and despise working hard. They would rather spend their money on a movie production that cheats people, as opposed to actually risking their money on legit securities, CFD’s, bonds, stocks, indices, or commodities. They will never go out to work at an office or anywhere else for that matter. In many ways, they have become addicted to scamming people and perfected their methods which have now become extremely effective. These include the Copy Buffet bot, Trade Fusion, Profits Unlimited, Zulander Hack, Millionaires Blueprint, Binary Matrix Pro, Binary App 810, Insured Profits with Dave and Ginny, The Free Money System and Walter Green, Push Money App and Dennis Moreland, and the nasty Tauribot App. Sure, but you will have to part with at least $250 in order to qualify to receive the software. There is a sea of service providers available, all them offering you massive riches at a click. The vast majority of these systems are fake apps that want to make a buck through referrals. When looking for a service provider remember to make sure the broker selection process is transparent and customer service is responsive. The Binary Profit Method is fully endorsed by this website because of these reasons. If you have your mind set on an Auto-trader read our Virtnext review. 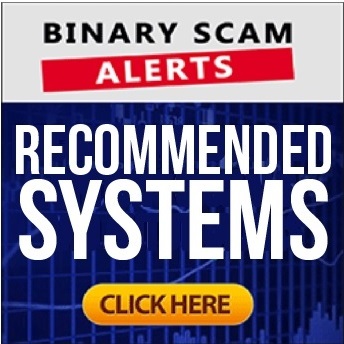 The staff and management at Binary Scam Alerts is officially warning you to stay away from the The Amissio Formula Software and APP. After a careful review and investigation, we have provided conclusive evidence of SCAM, internet fraud, and false advertising tactics. The use of actors and manipulation of truth is blatant and in your face, there is no use avoiding the facts and to do so is a mistake. There is nothing genuine, honest, or legit about this trading system. We urge you to stay away from this software and recommend you seek alternative means of investing. As always, don’t forget to join our Facebook page and subscribe to our YouTube Channel.